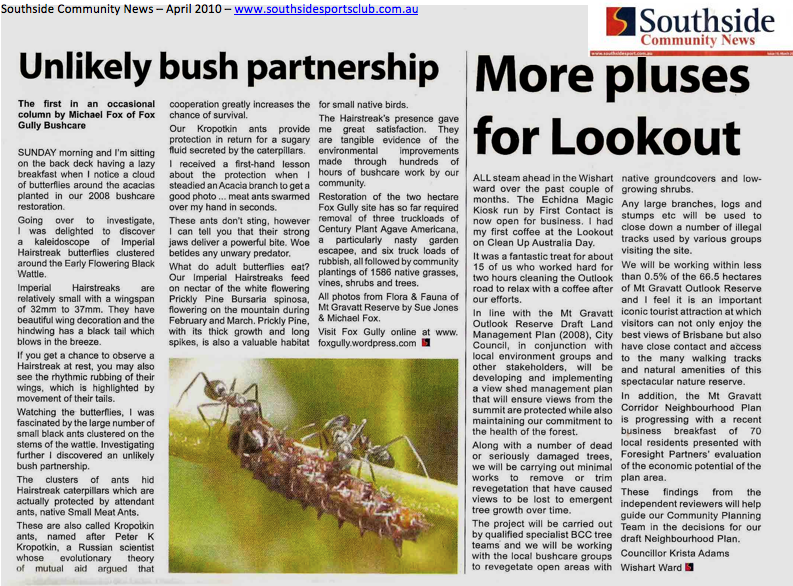 The first of my regular bushcare articles this month’s Southside Community News explores the unlikely relationship between the beautiful Imperial Hairstreak Jalmenus evagoras and native Small Meat Ants. Click on article to enlarge. Two strong populations of Hairstreaks are tangible evidence of effectiveness of our bushcare work. Walking through our plantings and finding clusters of these beautiful butterflies in areas we have planted is a real thrill. 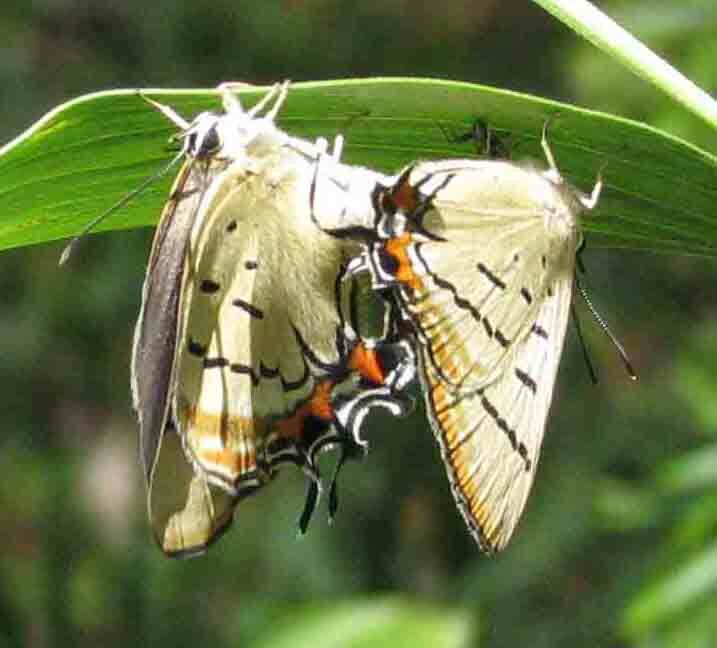 Watch the of video – Imperial Hairstreaks. It was also pleasing to read Councillor Krista Adams’s interest and support for sustainable tourism in our unique reserve. Want to meet some of our amazing wildlife upclose?